Having components remanufactured saves considerable cost over buying replacement parts. By remanufacturing used components to OEM specifications, Hindle Reman gives you the assurance of high-quality, precision parts that will save you money while maintaining the efficiency and performance of your engine. Our skilled engineers remanufacture a whole host of wear parts for engines and other industrial products. 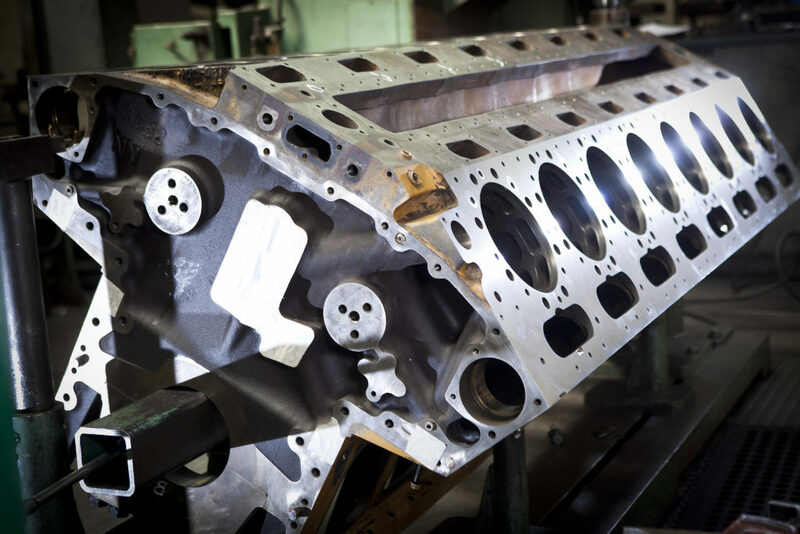 We offer everything from marine crankshaft grinding to conrod machining, working on components as diverse as Jenbacher crankcases to Ingersoll Rand compressor barrels. Up to 5000mm in length. Up to 550mm total stroke. Up to 508mm bore diameter. Up to 533mm bore length. Honing up to 610mm diameter. Refacing up to 3200mm length. Single cylinder aluminium up to 6 cylinder Caterpillar cast iron. 400mm diameter by 5000mm long. Up to 1750mm between centres. Typical examples: compressor barrels, wet liner cuff replacement, surface milling of cylinder blocks up to 3,200mm long. 5 metres long by 610mm diameter. 60 tonne press, up to 254mm diameter by 4250mm long.